Wilhelm Steinmann was born on 15 January 1912 at Nürnberg. He joined the Luftwaffe in 1936 and trained as a bomber pilot. Steinmann served with 3./KG 53 from 1939 to 1941. He later served as Technischer Offizier with II./Fliegerkorps. He then underwent conversion training to become a fighter pilot. On 6 October 1942, Steinmann was posted to the Gruppenstab of I./JG 27 based on the Channel front. He was serving with 3./JG 27 when he recorded his first victory on 18 May 1943, a RAF Typhoon fighter-bomber shot down over the Channel. On 1 June, Steinmann claimed a RAF Spitfire shot down. However, he had made a mistake in identification and had shot down a Bf 109 G-6 flown by the Gruppenkommandeur of I./JG 27, Hauptmann Erich Hohagen (56 victories, RK). Hohagen was forced to bail out of his Bf 109 G-6 (W.Nr. 16 391) but had been wounded in the incident. Hauptmann Steinmann was exiled to Romania to the staff of Jagdfliegerführer Rumänien as punishment. Steinmann was transferred to I./JG 4, based in Romania, in mid-June 1943. He shot down two USAAF B-24 four-engine bombers during the American raid on the Ploesti oil refineries on 1 August. On 14 September 1943, Steinmann was appointed Staffelkapitän of 1./JG 4 based in Italy. Steinmann was appointed Gruppenkommandeur of I./JG 4 on 23 January 1944. He claimed 15 victories in this theatre, mainly fighters. Steinmann relinquished command of I./JG 4 to Hauptmann Walter Hoeckner (68 victories, RK, killed in action 25 August 1944) on 14 February 1944.  Steinmann was re-appointed Gruppenkommandeur of I./JG 4 based in Germany on Reichsverteidigung duties on 26 August 1944, following the death of Hauptmann Walter Hoeckner. On 18 December, Steinmann succeeded in shooting down a RAF Mosquito twin-engine bomber for his 29th victory. In March 1945, Steinmann transferred to III./EJG 2 and underwent conversion training to the Me 262 jet fighter. He recorded four victories operating the Me 262, including two USAAF B-17 four-engine bombers. Major Steinmann was awarded the Ritterkreuz on 28 March. Steinmann served the last few weeks of the war with JV 44. He survived the war but died on 1 August 1966 at Ansbach. 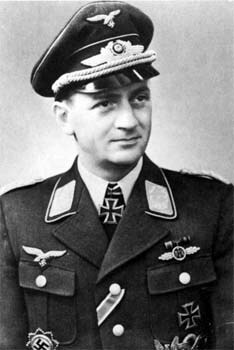 Wilhelm Steinmann was credited with 44 victories in 234 missions. He recorded four victories over the Eastern front. Of his 40 victories recorded over the Western front, six were four-engine bombers, at least seven P-47 fighters and at least 11 P-51 fighters.